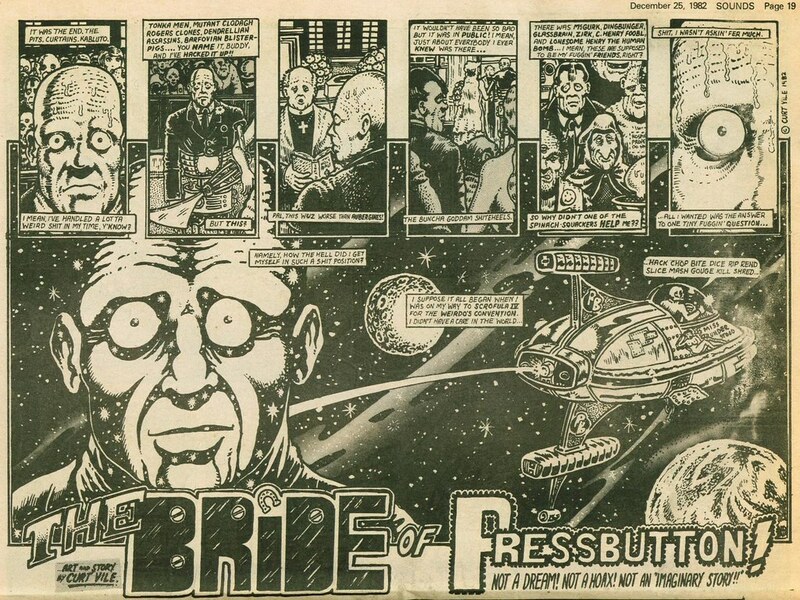 In British music magazine Sounds, in the issue dated 25th December 1982, there was a four page The Stars My Degradation story called The Bride of Pressbutton. 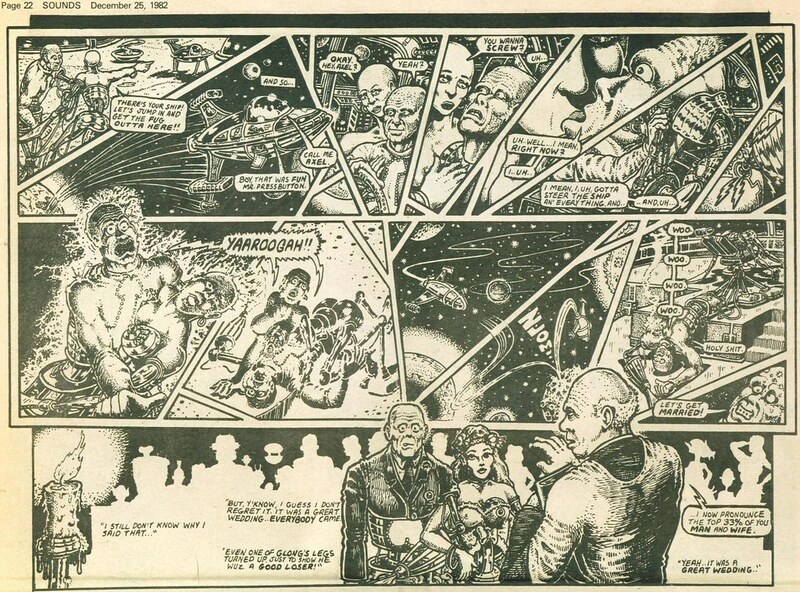 This was both written and drawn by Alan Moore, under the name Curt Vile. I bought this copy on eBay on a whim, as I usually only buy them in bulk, and without knowing it was the Christmas issue. Normally the strips were half a page, meaning that this Christmas story was eight times longer than usual. So, this is my Christmas present to Alan Moore fandom worldwide: A story from 24 years ago, not seen or collected since. If you want to see more of these strips, go look at 4colorheroes's Sounds Magazine Project page on his excellent Moore for Free site. Thats ODD, but thanks for posting it up. I've been trying to collect the Moore strips from Sounds. After all, it's well and away the largest body of work of his that remains uncollected. If I get around to doing my 'Alan Moore Show & Tell' at something you're at, you'll probably get to see what I've got so far. Happy Christmas to Simoné and yourself! Ta for that. Probably the first time I've read it since it came out. I think I did keep some of the Curt Vile strips at the time but ended up getting rid of them. Shame.